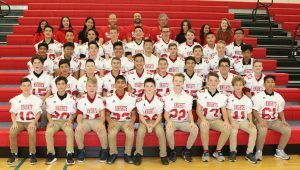 Congratulations to the Grade 8 Football team as they play for the Provincial Championship in BC Football Subway Bowl. The game on Saturday, December 1 at 8:30am at BC Place. STMC will be playing against fellow Christian Brother school Vancouver College. Come out and cheer on our young Knights.